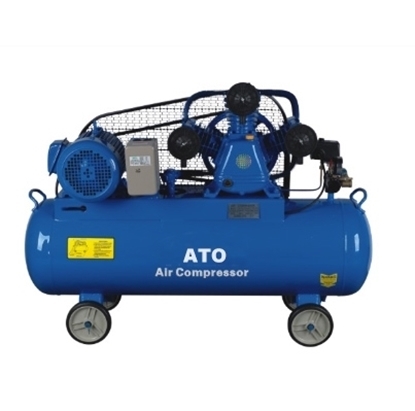 The 15 hp (11 kW) air compressor is belt driven, 74 gallon (280 litres) tank capacity with wheels, maximum pressure up to 30 Bar, 430 PSI. It also has a air delivery rating of 1000 Litres/min, making it ideal for almost any work including fastening, cleaning, mechanical work and painting. 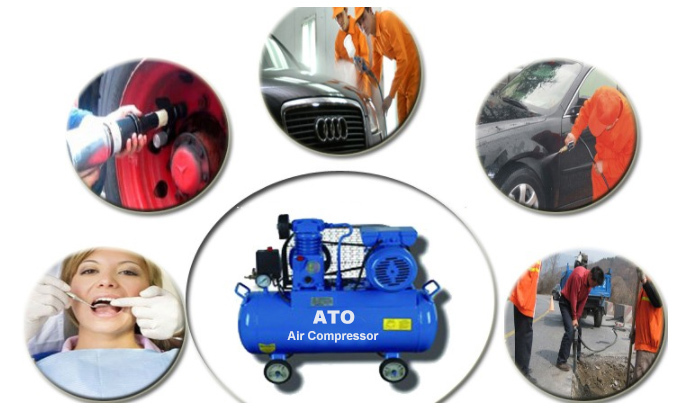 Small portable air compressor features a 2 hp direct drive motor for superior performance. It has an air delivery of 7.1 CFM at 115 PSI, higher PSI equates to longer air tool run times and increased project efficiency while operation at 80 dBA brings less noise to your work environment. 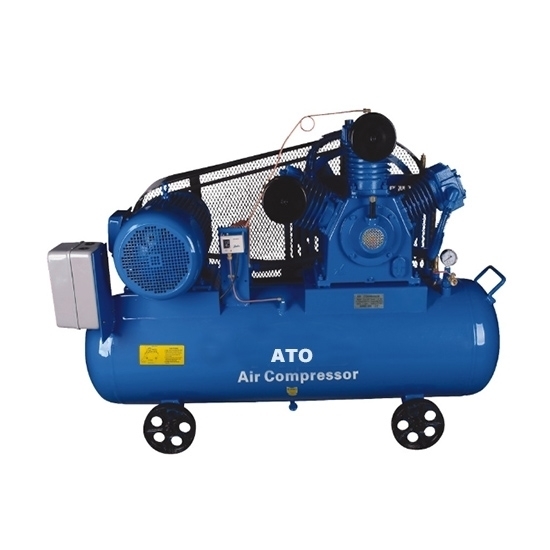 Best mini direct driven air compressor is powered by a 3 hp (2.2 kW) motor that produces 7.1 CFM at 125 PSI for increased productivity, it features include a convenient handle, smooth-rolling wheels and a fully shrouded pump for protection, is available with 8, 11, 13, 26 gallon tank capacity. 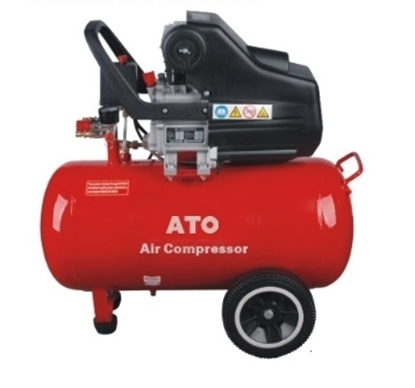 The 23 gallon 4 hp (3 kW) belt driven air compressor is a great value, high performance compressor suitable for professional garage, workshop and industrial applications. Featuring a 8 bar 115 PSI maximum pressure single stage or 175 PSI two stage , three cylinder pump, easy to operate and maintain. This oilless belt drive air compressor has three cylinder pump, 7.5 horsepower (5.5 kW) that provides 826L/Min, 29.1 CFM at maximum pressure. It has a voltage of 120V AC at 60 Hz powered by a single phase motor. 32 gallon capacity and the tank type is horizontal. 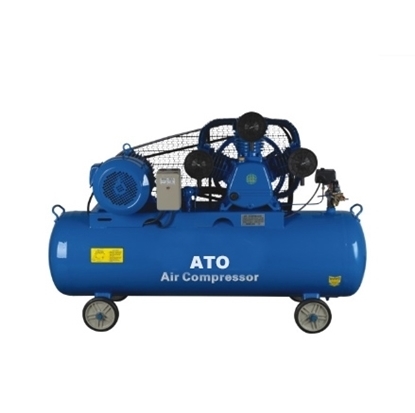 Note: Tell us your application needs, we can customize the air compressor to meet your precise power, tank capacity, air delivery and rated voltage requirements. When the air compressor is used for cooling, it is necessary to clean up the impurity mixture in time, at least every two hours. The cooler and the water jacket should be placed in water before using air compressor. The water jacket needs to be cooled completely before the inlet of water, otherwise the cylinder may be damaged. We must use open way drainage in drainage and drainage temperature should not exceed 10℃-15℃ compared with water inlet temperature. In order to avoid the explosion caused by the overload of pressure, the safety valve must be installed on the air compressor. The reducer should be installed in the condition of air pressure reduction. Air must be guaranteed to be dustless. Do not use the gasoline and other substances in cylinder cleaning and professional coal oil is needed for cleaning.